We're experts in IT support for non-profit organizations with 10 to 50 computer users in metro Pittsburgh Pennsylvania. Our IT solutions offer a cost-effective way to fulfill your operational needs with minimal in-house staff. As a non-profit, you're in it for more than money. More than just the bottom line. We want to help you give back. You'll have more time to do what you do best, you'll be more efficient at doing it, and you'll have peace of mind that we're taking care of the rest the right way. By examining your organization's mission and future goals, we'll align an IT strategy that matches where you want the organization to go. By proactively improving your technology support, you can do more without more staff. Identify critical areas of processes. You have an important mission to fulfill as a non-profit. You need an experienced IT partner that lets you focus on what really matters. 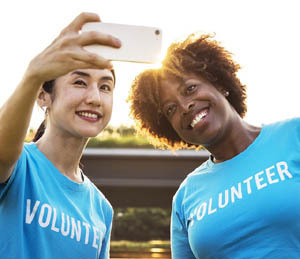 Through many years of working with non-profits, we've learned that every organization has its own unique technology needs. Because your goals and objectives are a crucial part of IT planning, we work closely with you to ensure your particular needs are satisfied. Prevent problems from disrupting work. Enhance productivity of your staff. Budget IT spend for the next 3 years. Manage your technology resources so you don’t have to. Regular strategy meetings to help you achieve your goals. Our non-profits IT consulting helps you achieve long-term success. Using a state-of-the-art methodology, we find and deliver the best possible IT solutions for your mission. Solutions that improve your productivity and speed you toward your goals. Our services are especially suited to small non-profit organizations in metropolitan Pittsburgh PA.
For a free nonprofit-specific IT assessment, please fill out the form below. We'll contact you soon.